Along with the physical changes that occur as we get older, changes to our sleep patterns are a part of the normal aging process. 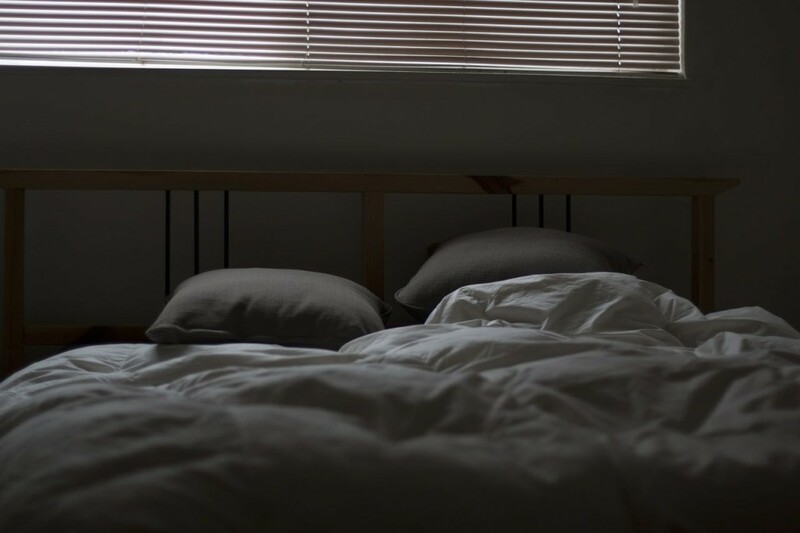 While decades of sleep studies have found that older adults commonly experience disturbed sleep, more recent research has uncovered an association between lack of sleep and Alzheimer’s disease biomarkers. The biomarker in question is beta-amyloid, the plaque that has been seen in the brains of people with Alzheimer’s. The plaque forms as bits of beta-amyloid bunch together. Beta-amyloid comes from protein that resides in the fatty membrane that encompasses the nerve cells. In the brains of Alzheimer’s patients, the beta-amyloid becomes thick and builds up into plaque over time. Beta-amyloid destroys synapses in the brain, the contact points with which nerve cells relay signals to one another. What follows is a large loss of synapses and nerve cell death. This results in a marked deterioration in brain function, most notably in the ability to remember. With 5 million Americans affected by Alzheimer’s, researchers are focusing on prevention as well as understanding the disease. There is no known cure. One promising area of research involves how sleep impacts the development of Alzheimer’s. Lack of sleep disturbances are widespread in the U.S., where nearly 40 percent of adults report nodding off during the day in the past month, and 5 percent report falling asleep while driving. Car accidents are the leading cause of death among teenagers, 45 percent of whom claim they don’t get enough sleep during the week and 25 percent report falling asleep in class at least once a week. 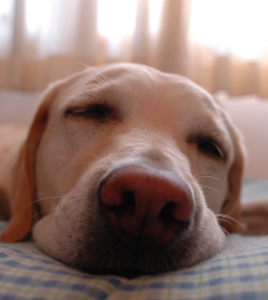 Research shows that lack of sleep has consequences beyond not feeling refreshed during the day. One of these ramifications includes an increased risk of developing Alzheimer’s. This is primarily due to the fact that our brains contain a waste removal process that operates best during deep sleep. During this function, the brain actually removes toxic waste in a process known as the glymphatic system. It works similarly to the body’s lymphatic system, which is responsible for removing cellular waste. However, the brain is a closed system protected by the blood-brain barrier and the lymphatic system cannot access it. The glymphatic system actually pumps cerebral spinal fluid through brain tissue, flushing out waste and sending it to the body’s circulatory system. Eventually, the waste is eliminated through the liver. Although the glymphatic system can function during wakefulness, it is 10 times more active during deep sleep. Furthermore, brain cells shrink by as much as 60 percent when we sleep, which actually permits a larger degree of waste removal. When we are awake, our brain cells swell so much that they actually make up 85 percent of the brain’s overall volume, rendering the waste removal process largely ineffective. Although the glymphatic system can function during wakefulness, it is 10 times more active during deep sleep. In order for the glymphatic system to operate at full capacity, a person must experience deep and consistent sleep. If not, the body is unable to clear out toxins, including the beta-amyloid associated with Alzheimer’s. To make matters worse, studies have found that the blood-brain barrier typically becomes more permeable as we age, making it easier for toxins to enter. This in combination with reduced efficiency of the glymphatic system may increase the risk of developing Alzheimer’s, even in people who are not genetically predisposed to the disease. Adam P. Spira, Alyssa A. Gamaldo, Yang An, Mark N. Wu, Eleanor M. Simonsick, Murat Bilgel, Yun Zhou, Dean F. Wong, Luigi Ferrucci, Susan M. Resnick. Self-reported Sleep and ß-Amyloid Deposition in Community-Dwelling Older Adults. JAMA Neurology, 2013 Dec;70(12):1537-43. doi:10.1001/jamaneurol.2013.4258. Roh JH, Jiang H, Finn MB, Stewart FR, Mahan TE, Cirrito JR, Heda A, Snider BJ, Li M, Yanagisawa M, de Lecea L, Holtzman DM. Potential role of orexin and sleep modulation in the pathogenesis of Alzheimer’s disease. J Exp Med. 2014 Dec 15;211(13):2487-96. doi: 10.1084/jem.20141788. Epub 2014 Nov 24. Erratum in: J Exp Med. 2015 Jan 12;212(1):121.